The living is good in Buderim and Mons, which is why they are such rapidly expanding residential areas. Beautiful weather, proximity to the beach, parks and shopping centres, education providers and other amenities are making them highly sought after for the lifestyle they offer. 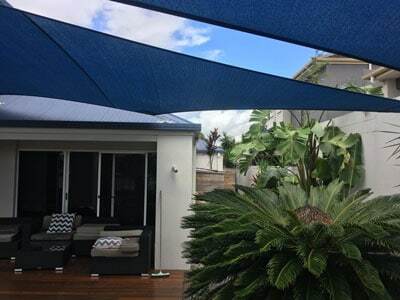 If you are interested in making the most of the Sunshine Coast hinterland lifestyle, look no further than Sunshine Coast shade sails for all your shade needs. Your family’s outdoors fun and safety are guaranteed for 10 years, with our beautiful, durable, high-quality and safe shade sails. The enviable Sunshine Coast hinterland lifestyle means that living in Kuluin and Kunda Park is equally highly sought after. They too are just a hop, skip and a jump to the beach, to the mountains, and to parks and other amenities. Sunshine Coast Shade Sails is proud to the be the supplier of choice to the hinterland. Whether your needs are to protect and shade a pool, garden area or deck or a carport, we’ve got you – and your family and friends – covered. 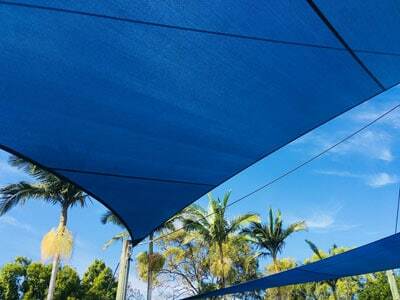 Sunshine Coast Shade Sails is a family-owned and managed local business. We understand the lifestyles and the weather conditions of the Sunshine Coast and its hinterland because we are living the life here like you are. 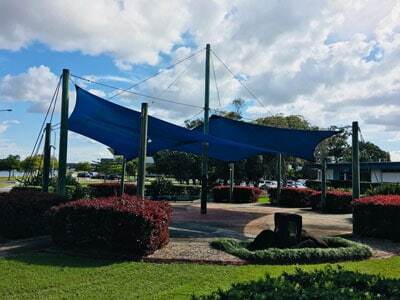 Sunshine Coast Shade Sails supply and service businesses, education and sporting facilities and community organisations in Buderim, Mons, Kunda Park and Kuluin. We are at your service for shade sails from the smallest scale to the largest, including major structures designed to shade large swimming pools and other sporting areas, community spaces, play areas at educational and childcare facilities, factories, car parks, and outdoor dining areas. Our superior shade sails come with a 10-year guarantee for the cloth and stitching and will last even longer when well-maintained. Our friendly and expert staff will come to your premises for an obligation-free measure and quote. You decide whether you would like us to install, or if you are a tradie or have the services of one or are keen to DIY, we will provide you with expert support, and all stainless steel hardware. Our team is here to give you advice about maintaining your quality shade sail and how to extend its life and protect it and you in strong weather. 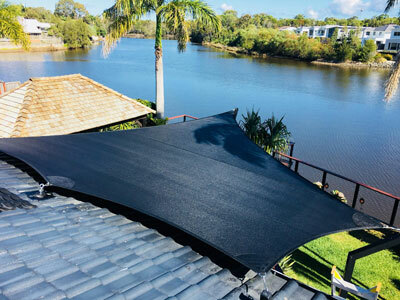 Contact us today for all your enquiries about shade sails in Buderim, Mons, Kunda Park and Kuluin, and the greater Sunshine Coast hinterland region.